EXERCISE YOUR FUNNY BONE TODAY! OFF-BEAT, ECLECTIC BLOG THAT PUTS A HUMOROUS SPIN ON TOPICAL NEWSWORTHY STORIES FROM AROUND THE WORLD. BE THERE OR BE SQUARE! ← WHAT IS THE WEST DOING ‘PALING’ UP TO THE SAUDIS? Following last Sunday’s pre-Christmas luncheon at my sister’s which I ruined by opening up a few old family wounds, I’ve just returned home from my aunt Susan’s family Christmas Day luncheon which I was accused of ruining too. Yes, I admit, I did it, but it had to be done. I really can’t stand innuendo, insincerity and injustice! I’d kept my mouth shut for far too long a period! If you don’t like someone, say so, and why, but what caused me to burst out laughing, was the fact aunt Susan said she’d spent hundreds of pounds on food, and several hours preparing the spread! Honestly, when someone drops a plate in front of me with what looked like a bloody turd on it, one has to question what the bloody hell was going on? The centrepiece of the meal was supposed to be goose. 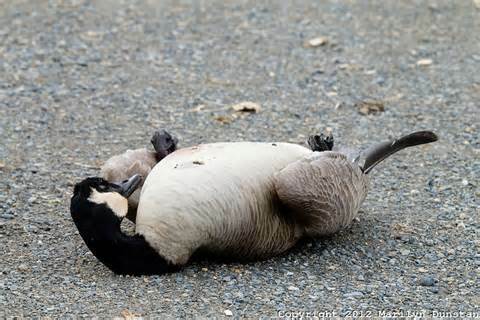 Well, all I can say is, the goose must have died from old age! It was almost a shame the bird had to fly in all the way from Canada to be so badly treated. The plate of food looked disgusting, and the taste didn’t disappoint. I didn’t eat anything on account I was asked to leave, and believe me when I say the request to vamoose came not a moment too soon! How on earth a woman in her fifties who had raised four children could cook so badly remains a f**king mystery to me. I swear to you, I feed my Cavalier Bunnee better cuisine! If Henry the Eight had been served food like that, heads would have rolled and war might have broken out! Anyway, for a man like me with a particularly sensitive colon, I figure I had a lucky escape! I wonder who’s feeding me on New Year’s Day? I’m open to offers. Oh, if you’re wondering whether I intend behaving badly, I can assure you, I do! Posted on December 29, 2014 by lubkin2013	• Bookmark the permalink.